It's a lot of fun for players to show how well they can imitate the actions of their animal friends. Who will be fastest to imitate a spinning chicken or a dancing donkey? And who will manage to arch their back like the cat? But beware: With the tired turtle you all need to stay calm. In each round a different player is the judge, and decides who best imitated the action. 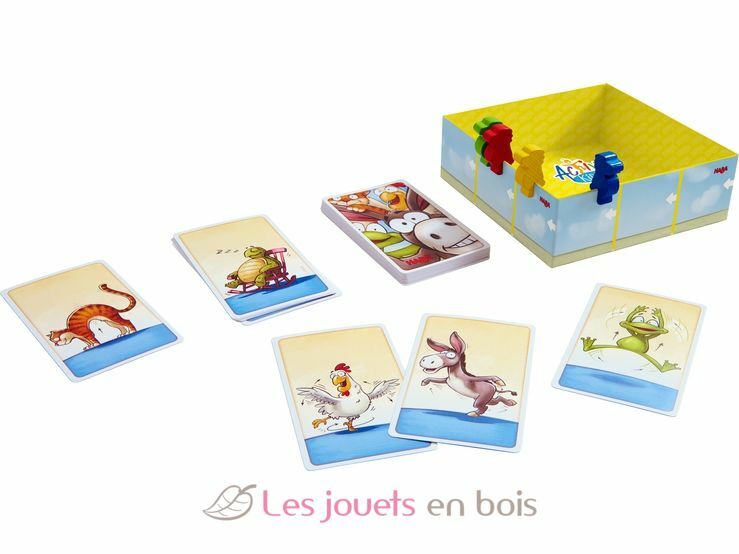 Content : 36 action cards, 4 parrots, 1 parrot perch (= box base), 1 set of instructions. 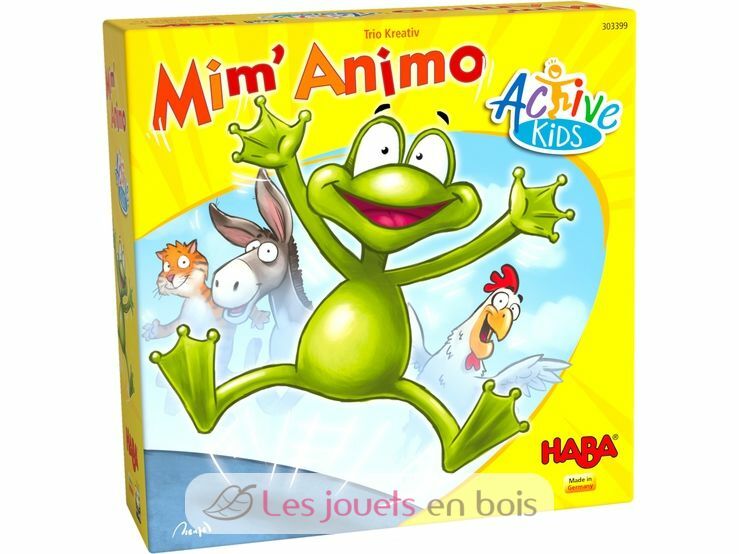 Animal Actions - Active Kids, a game made by Haba, item number 303399.